Chinese New Year is traditionally celebrated for 15 days, starting on New Year’s Eve with a big family feast and ending on Lantern Festival Day, where you eat tangyuan (gelatinous rice balls with sweet filling) and use lanterns to guide lost spirits home. Here are some awesome Chinese New Year events that are taking place in NYC over the course of the next 15 days. February 19, 11am – Firecracker Ceremony in Sara D. Roosevelt Park (Grand St between Christie and Forsyth). Firecrackers are set off to chase away evil spirits on the first day of Chinese New Year. They are extremely loud and smoky but fun to see. February 19, 20, and 21 – Yo-Yo Ma and the Silk Road Ensemble at the NY Philharmonic. The Silk Road Ensemble plays music from countries that were along the Silk Road. The music uses traditional instruments such as the pipa (a Chinese lute) and a Mongolian horse fiddle. The music is very beautiful and very much worth listening to. They also hold open rehearsals during the day, which are great to attend if you can’t make it to a concert. February 21 – Lunar New Year Festival with Xi’an Famous Foods at the Music Hall of Williamsburg. Celebrate Chinese New Year with a concert featuring Jin, Wanting Qu, Mree, and a host of other performers. There will also be food from Xi’an Famous Foods, Pok Pok Ny, and a few other vendors in a nightmarket format. Each of the vendors have a stand and food is cooked to order and also things are uber cheap at about $1-$4 per dish. Tickets are $50 and include some food/drink tickets. All proceeds benefit Apex for Youth. February 22 – Lunar New Year Parade through Chinatown. This is the main parade for Chinese New Year in NYC. There are lots of street vendors and you can see an awesome lion dance. Be prepared for lots of red and lots of drumming! February 22 – Dumpling and Lantern Making Workshop at the China Institute. The China Institute has a more low-key lion dance and kung-fu performace starting at 11am. 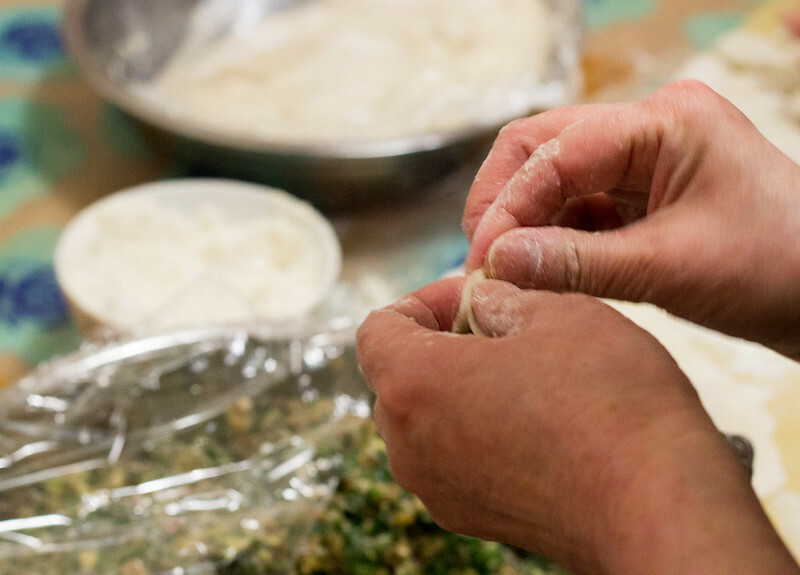 Afterward, you can learn how to make dumplings and lanterns. 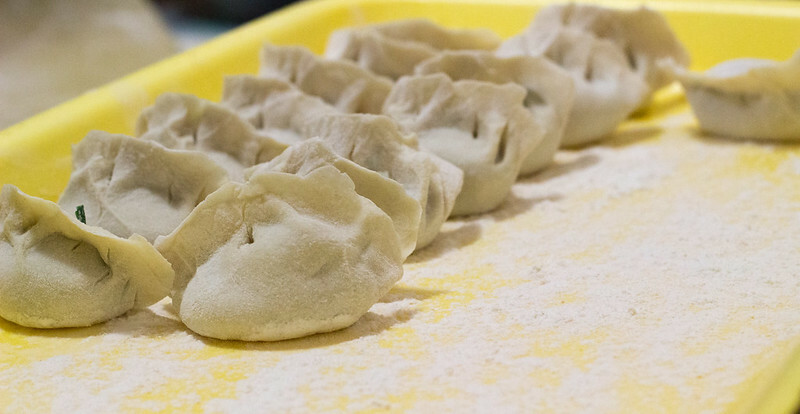 Dumplings look like the gold and silver ingots used as currency in China in the past and so symbolize wealth for the New Year. The performance is free but the workshops cost $25 for adults. February 28 – Lunar New Year Festival at the Met. The Met is having a really great art-making program that includes a Chinese Tea Ceremony, making shadow puppets, stone carving, accordion books, and lots more. Admission is free with museum admission! March 1st – Take a Chinese or Korean calligraphy workshop at the Flushing Town Hall in Queens. Calligraphy is uber-important in Chinese and Korean culture and is seen as a form of art. Many years of my life were spent learning how to hold the brush correctly. At these workshops, you can learn basic calligraphy and write out some New Year’s wishes! Tickets are $10.